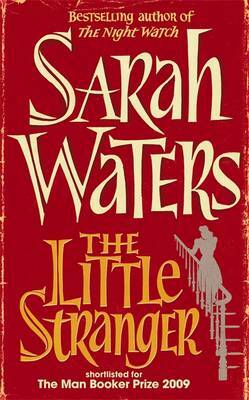 The Little Stranger is my first Sarah Waters book, and one about which I’ve heard mixed opinions. But the proof of the pudding is, of course, in the eating (or, in this case, the reading) – and, wouldn’t you know, I’ve ended up with a mixed opinion myself. Thinking about it, though, that’s quite appropriate; because this is, in a quite literal sense, a mixed book. Our narrator is one Dr Faraday, a GP in rural 1940s Warwickshire, who becomes involved with the affairs of the Ayreses, a family struggling to keep the estate of Hundreds Hall, going; just as they’re struggling to find a place in the modern world. A series of strange events — the family dog biting a young girl, a mysterious fire, and yet others — puts the household under further strain. The occurrences become stranger still: is there a rational explanation for it all, or could Hundreds Hall be haunted? The Little Stranger is, then, at once two things: a ghost story, and a portrait of the decline of the landed gentry in post-war Britain. Its problem, I think, is that these two aspects sit awkwardly together — and, at times, may even work against each other. As an evocation of a point in history, I find the novel to be very good: Faraday’s rather stiff narrative voice places the reader effectively in the period — I, for one, never caught a whiff of anachronism — and Waters lays bare some of the pressures (social, economic, and otherwise) at work; be they pressure on the Ayreses to sell off land for property development, of the awkwardness and difficulty of moving between social strata, as Faraday did when he became a doctor. No, it’s the ghost story which is problematic. Waters keeps things ambiguous — which would be fine, except I can’t quite believe in the ambiguity. For it to work, both the rational and supernatural explanations must be plausible and implausible at the same time. The rational explanations put forward by Faraday and others achieve this: they’re plausible enough to account for what’s reported (Faraday never witnesses anything unequivocally supernatural himself); yet they also seem increasingly strained attempts to explain unusual events away. The supernatural explanations, however, don’t have the same duality. I can believe, from the evidence in the text, that Hundreds Hall isn’t haunted supernaturally; but I can’ t quite believe that it could be. The house is described as decaying, but it never feels (to me) to be as though it’s more than just a decrepit old house — it never feels truly malevolent. And that makes it hard for me to believe that we’re (possibly) dealing with a haunted house. But there’s more to this than ‘the ghost story doesn’t quite work’, because the issue cuts to the very metaphoric heart of The Little Stranger. I think Waters is trying to set up a structure where the ‘haunting’ of Hundreds Hall is a reflection of the way that the house has become a millstone around the necks of the Ayres family — in other words, the ghost-story aspect of the novel and its decline-portait aspect should intertwine, should work in harmony. However, since the ghost story isn’t as strong, statements like, ‘This house has sucked the life out of [us]…It wants to destroy us, all of us’ (spoken by Roderick Ayres, the son of the household) come across as heavy-handed attempts to drive the metaphor home (I suspect this statement might seem heavy-handed anyway, but it’s particularly so given the circumstances). I’m not sure how well the ‘haunting’ fits in general as a metaphor for the family’s misfortune, actually. Hauntings perhaps best represent acute problems — exorcise the ghost, and healing can begin. Yet the Ayreses’ troubles are fundamentally chronic: they’re caused by social changes, for which there can be no ‘exorcism’. So, instead of going hand-in-hand with the tale of decline, too often the ghost story seems like a distraction from it. All of which is to say that The Little Stranger doesn’t work for me as an aesthetic whole. Yet there are still ways in which the novel does succeed. To give one example, I’ve mentioned its historical portrait; to give another, Faraday is an interesting creation, by turns both a rounded individual and an empty vessel. Sometimes he’s barely there, just a window through which we can view the events at Hundreds Hall; yet the halting growth of his attraction to Caroline Ayres (the daughter of the household) takes a convincing course. In some respects, Faraday mirrors the Ayres family, as his life too is threatened by changes in society (he fears that the coming National Health Service spells the end for private practice); and, in the end, he becomes so bound up with Hundreds Hall that Faraday can be seen as ‘haunting’ the place himself, in a way. That was my first Sarah Waters book, then: how did it go? I don’t think she achieves everything she set out to in The Little Stranger; but what she does achieve suggests to me that Waters is a very good writer when at her best — so I’ll be reading more of her work in the future. I wouldn’t mind that millstone round my neck. Do you think it’s worth me taking a trip to Chancery Hall? Only Sarah Waters I’ve read by the way is Affinity, which was good, but took a while to get going. I preferred the TV adaptation of Fingersmith. Probably doesn’t say much for me. Hi, Neil. Fingersmith seems to be the most highly-regarded WAters novel, at least from the opinion I’ve read. I never did see the TV version, though. She’s trying for that Turn of the Screw vibe. But that’s much harder to pull off than people think. Agreed. I wonder if it’s harder to do that kind of ambiguity well these days, with stories where the existence of the supernatural is unequivocal being so common. Another great review. I liked this book but finished it feeling a little confused as to my exact thoughts. I was a bit “OK, is that it?” even thought I enjoyed it. Strangely, the longer it is since I read it (only a month or so) the more I think I like it.